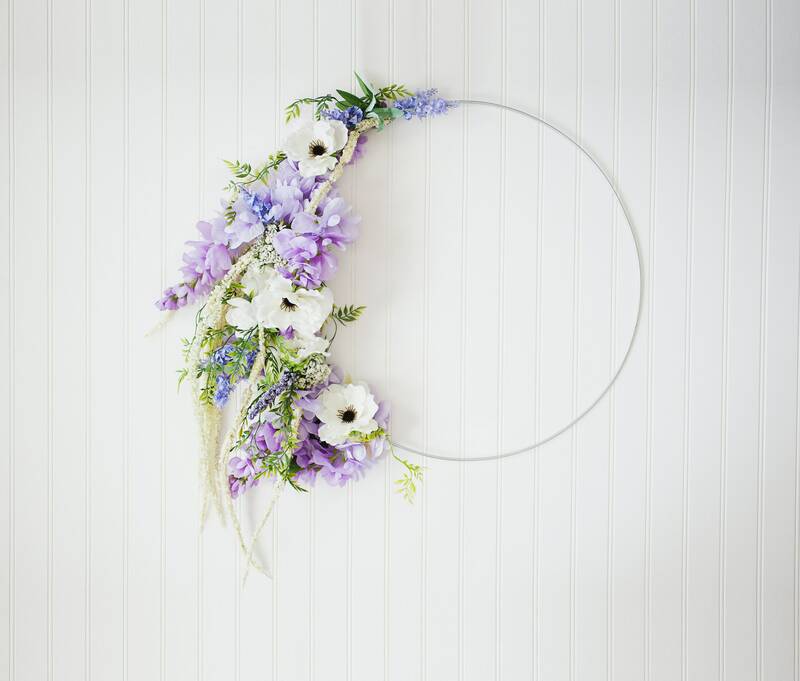 This silver hoop wreath is part of the Wild & Free Series- a collection of unpredictable composition, inspired by florals and greenery you might find unkempt in the wild or trellising up the side of a house. 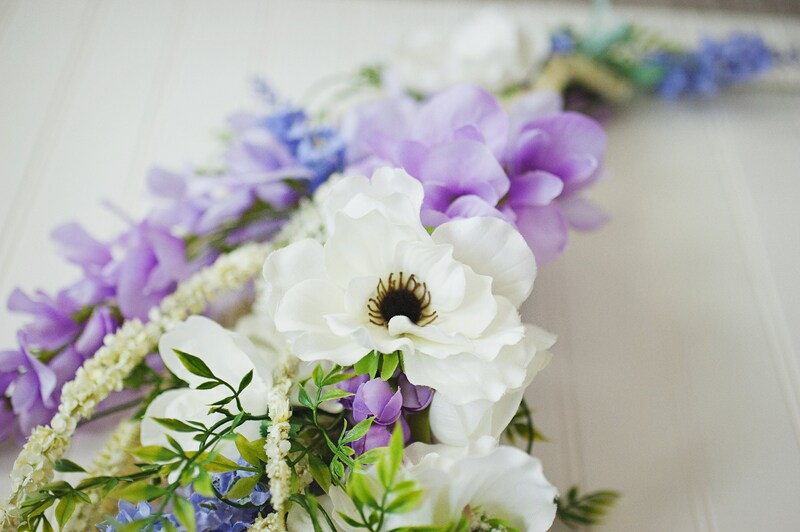 This wreath is dripping with purple & cream wisteria, anemones, and loose greenery and is unlike anything you've ever bought in a store! This hoop is handmade and is one of a kind, and is the item as-shown, ready to ship. I post wreaths as I create them, and each one is unique! I photograph my wreaths in natural light and some slight variations may occur between your computer screen settings and the product's "real life" colors. :) This wreath is made from silk flowers and greenery and is secured on a metal hoop with a mixture of floral wire & hot glue (visible on the back, not on the front). 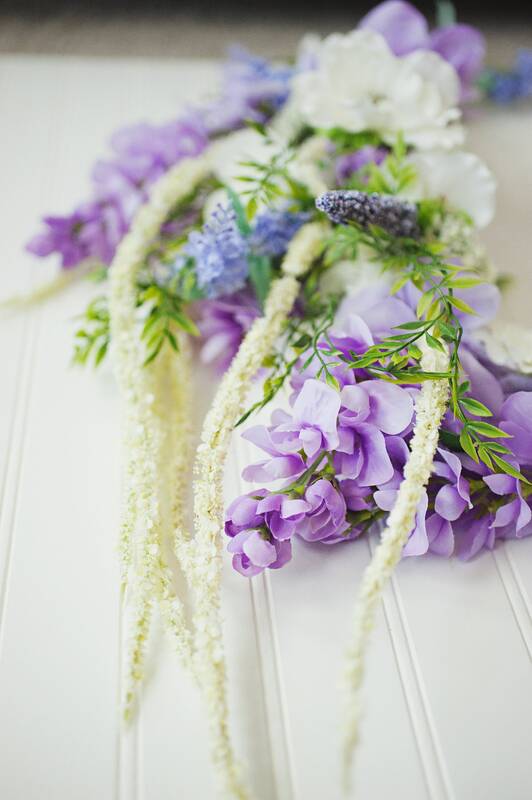 Ships with a nail hanger to achieve the "side hang" look, but will also hang directly on a wreath door hanger (not included) with floral burst at the bottom. To preserve your wreath for years to come, it is advised not to hang or store in direct sunlight or high temperatures. The finished product is attached to a hoop form that is 19" in diameter.